Double the prints, double the fun. 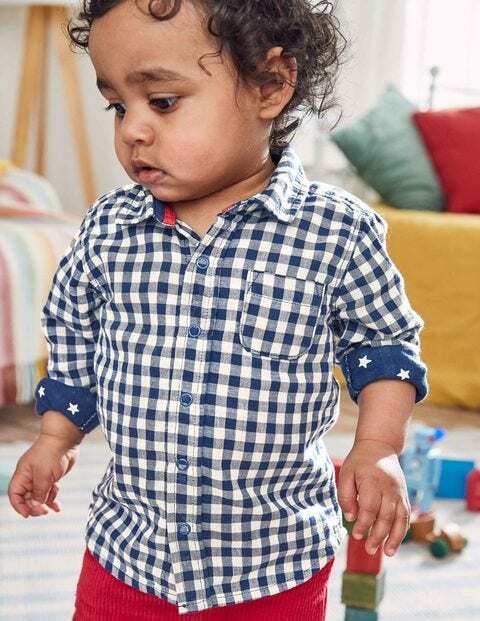 Our woven shirt is made up of doublecloth fabric, with poppers down the front – so your little one will be ready in no time. Now, we'll let you in on a secret... we LOVE gingham. So we've added it to this shirt, along with a little pocket for good measure.